Keyword research became a part of a business process for every blogger. And what about niche questions research? You definitely should use them to boost traffic on your blog on a rather high level. In this post, you’ll learn more about the advantages of using search questions on your blog and ways how you can find the right and efficient ones for your niche and increase traffic as well. Info: search questions are popular questions that people ask on Google and other search engines and that pop up when typing a keyword in a search bar. Sometimes, your imagination ceases to work and it’s rather difficult to come up with some interesting topic for a future post on a blog, or the main topic of a blog can be rather hard or narrow. And one of the easiest ways to become inspired when you’re a dry spell is to use search questions. Just choose one of the most popular and give an answer to it in your blog post. An answer-post on one of your niche search questions would bring you rather high traffic on the blog. And it’s for sure, as your audience is already interested in this topic and searches it on Google. A direct answer to a popular question would attract the attention of Google visitors and lead to a lot of clicks and be reading your post. If your article is informative and time per visit is good, your post’s ranking will be improved and you’ll also get higher and higher traffic. Google always focuses on users’ demands, a better understanding of them. That’s why your answers on popular search questions are also in its interest. This search engine highlights the best and the most accurate answer to a search query in a special featured box on top of SERP. So, posts on search questions are a great way to put your blog on Top of everyone else and improve Google search visibility. Take a search question and don’t only write a post on its topic but also put this question into the text itself. When you ask a question, it stimulates a natural answering reflex. Your readers become more attentive, stop and think over your question and the whole post. This process leads to a lower bounce rate and a higher probability of conversion in its turn. Analyzing the list of popular search questions in your niche you’ll understand which problems your audience is dealing with every day. Help them solve these issues and you’ll get readers forever. Also, understanding of your audience will help you create posts that would be more interesting for them and bring higher traffic, as a result. There are a lot of ways to find the right search questions for your niche but I want to describe the best (the easiest and the most efficient) of them for you. Google generates its own block with popular search questions. To get it, enter some question about your blog’s general topic in the Google search box and scroll to the bottom of the page. The block “People also ask” contains search questions that are on Google’s mind the most appropriate for the main keyword phrase. The number of questions is not very huge in this block but after clicking them it’ll expand further and further. Anyone from the list can be useful for you, choose boldly and create popular and viral content. One more good way to find topics that your audience is interested in and asks is to learn thematic forums. You should only pick up those which are great for your niche and select the most discussed branches. User questions of these forums can become popular search questions and excellent topics for your successful content. Online Ask Me Anything is also a perfect insight into the audience’s interests of your niche. Enter your blog main keyword in its search box and go through users’ comments to choose the most popular (voted-for) questions and write a viral content on them. Quora is another required platform to monitor popular search niche questions. Choose core terms in your dashboard settings and monitor it from time to time. You should scroll through the discussions and find out the most popular for your blog’s promotion and growth. Serpstat is an all-in-one SEO platform that also has a great feature — Search Questions research. The tool chooses questions according to the main keyword and its target audience on Google. Serpstat creates a report on the basis of the most common words in a separate niche. It’s divided into several lists. Each of them has a main question word, and every it’s query also has several related questions. These lists are a great way to come up with the structure of the future post. To get such a report, enter the main keyword of your blog in Serpstat search box and go to Keyword Research > Content Marketing > Search Questions. Buzzsumo is a service that provides you with information about shares of your posts on social networks, contacts of those people who shared them, trends lists and statistics of shares, make a content analysis. Its Question Analyzer feature allows you to search multiple discussion boards to watch the list of the most popular and discussed questions. It also makes semantic analysis and finds related questions. This service allows you to expand a keywords list and your mind about the topic. Here you can search questions by the main keyword or by your blog domain. Enter chosen one in Buzzsumo search box in Question Analyzer tab and learn the given report. This tool finds search questions, prepositions and alphabetical lists related to your query. The service also provides SERP for each keyword that can help you a lot in developing content. Follow links and read the first posts to get some ideas on the structure, keywords and so on analyzing your competitors. Answer the Public creates its reports in the form of round or in columns visual map of popular questions with your core term in them. Enter your main query in its search box and look through the report. Questions that bloggers have in their mind. Search questions are really discoveries for bloggers. Their usage has a huge number of advantages that you shouldn’t miss. Start working with such questions for your business and feel better and better its results. use special services like Serpstat, Buzzsumo, Answer the Public. Don’t hesitate, start feeling benefits right now! Thanks for informing us about these useful ideas for boosting traffic on our blog. I’m glad, my article is useful for you! Excellent post. Very informative with in-depth information. I didn’t knew that answering search questions can also get huge traffic. I will try to follow this suggestion on my site. Thanks for writing this blog. It is really effective. Great article for all who are concerned about maximizing their website organic traffic. Thanks Inna, I have bookmarked it as reference. Such an awesome post. I’m a newbie in blogging field so this guide is helping me lot. Please share more tips regarding blogging so that I can learn a lot. Inna, I never thought about the Questions People Ask box before. This is a great discovery for me and something I will share with my clients. It makes finding blog topics (and long-tail keywords) really easy for newbies. THANK YOU!! Awesome topic you have here. 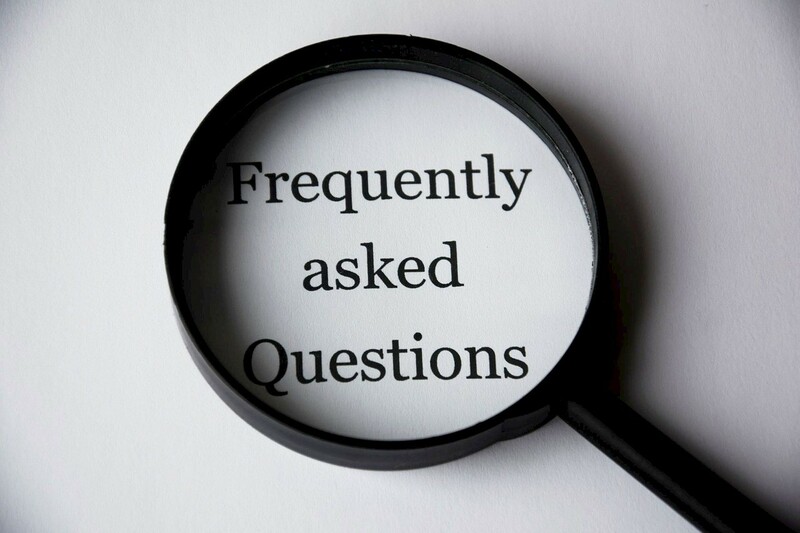 I do agree that using search questions as resource is very useful plus you are hitting the opportunity of answering the questions of searchers. Through this, you can able to get targeted traffic.